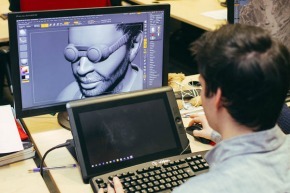 The purpose of this module is to engage students in the concept phase of development of features for a discrete small-scale video game, ensuring students can follow the process of design to ask questions at the start of the concept phase of product development, to follow onto the research stage, before applying ideas within a synthesis stage before refining and finally applying their ideas.. Students will work in teams to produce concepts for small-scale games, which they must present using effective communication skills. 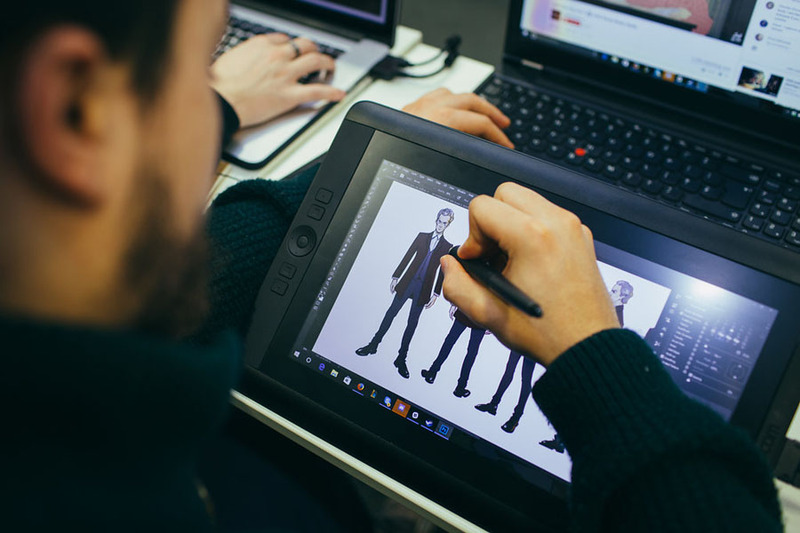 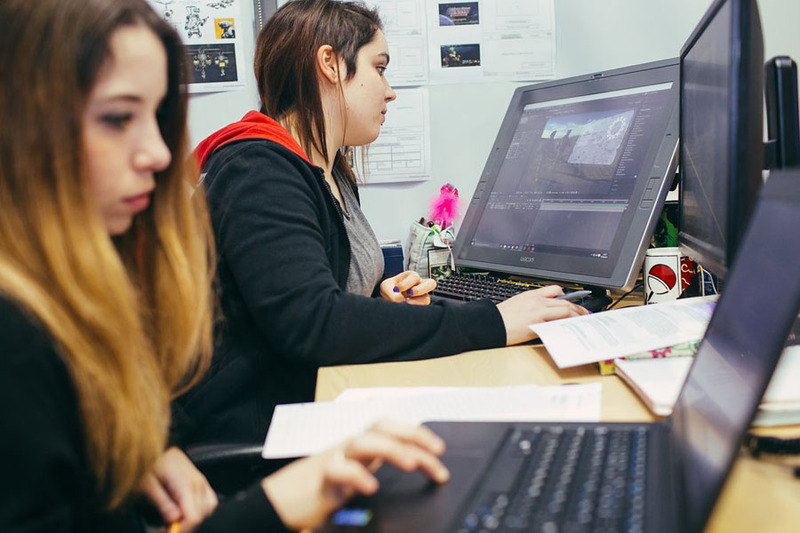 The purpose of this module is to bring together art, code, production and design students together into a game development team and give them the opportunity to work collaboratively to produce a releasable small-scale video game. 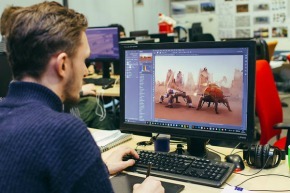 Typically this is the type of title commonly described as an ‘indie game’ which is made in a short time frame with a small agile development team. 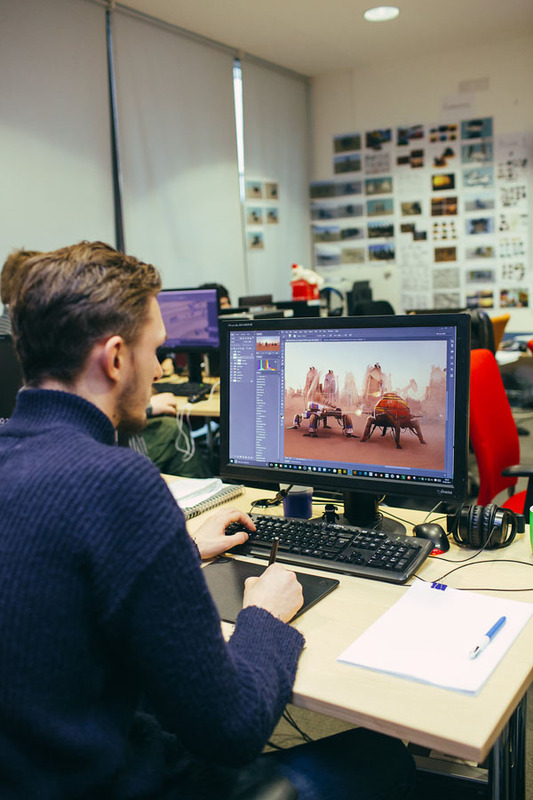 If the completed game is at an appropriate standard the game can be submitted to relevant game stores and act as a published title on a student CV. 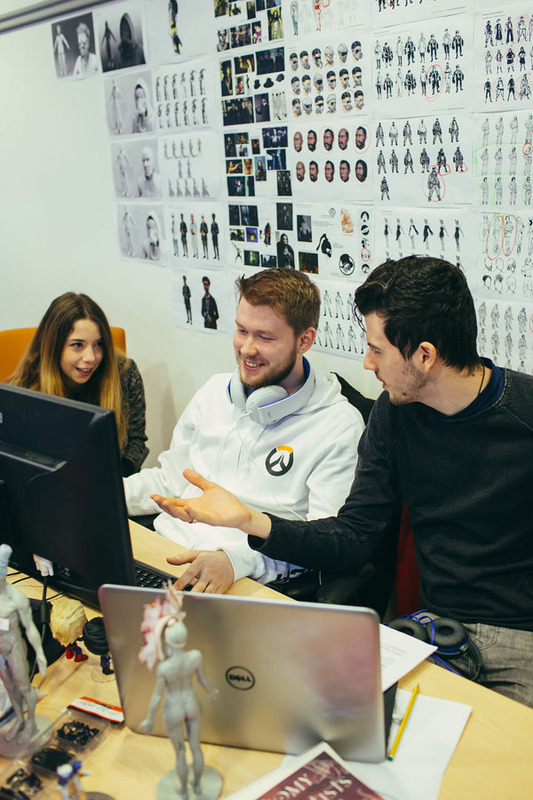 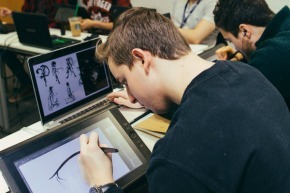 The purpose of this module is ensure that students can experience the challenge of completing the research and concept phase of a co-ordinated yet adaptive video game project whilst simultaneously generating ideas to become a business plan which will be presented / pitched to high level stakeholders at the end of the module. 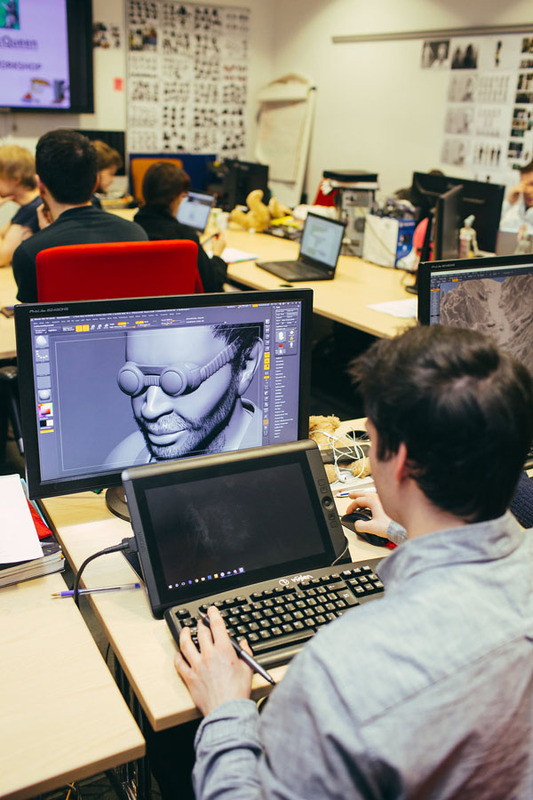 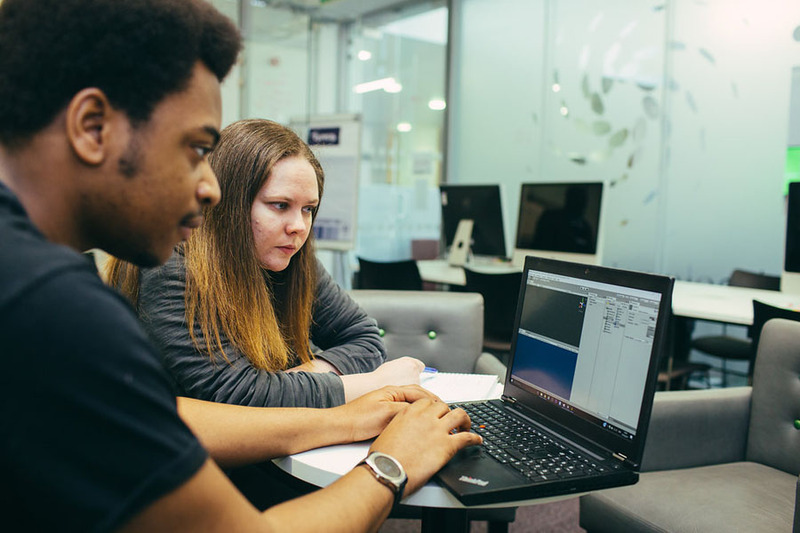 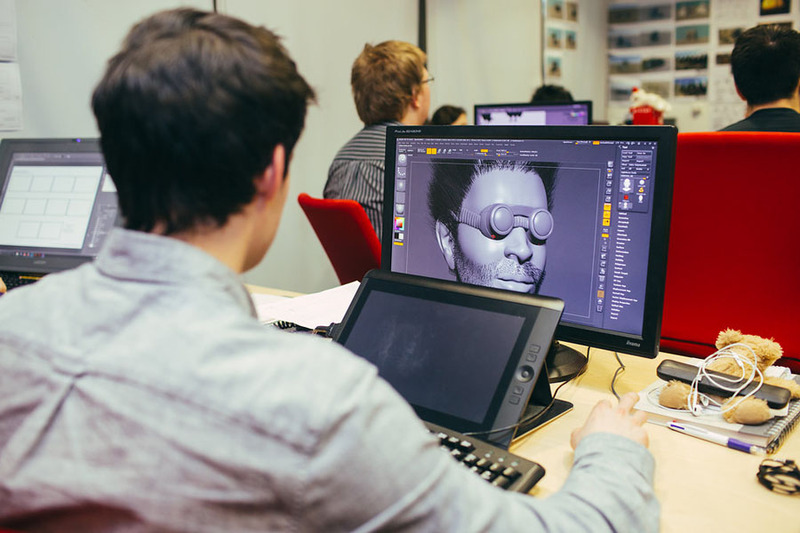 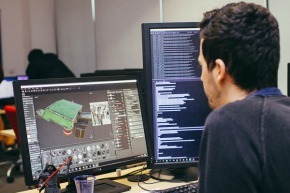 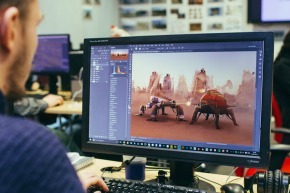 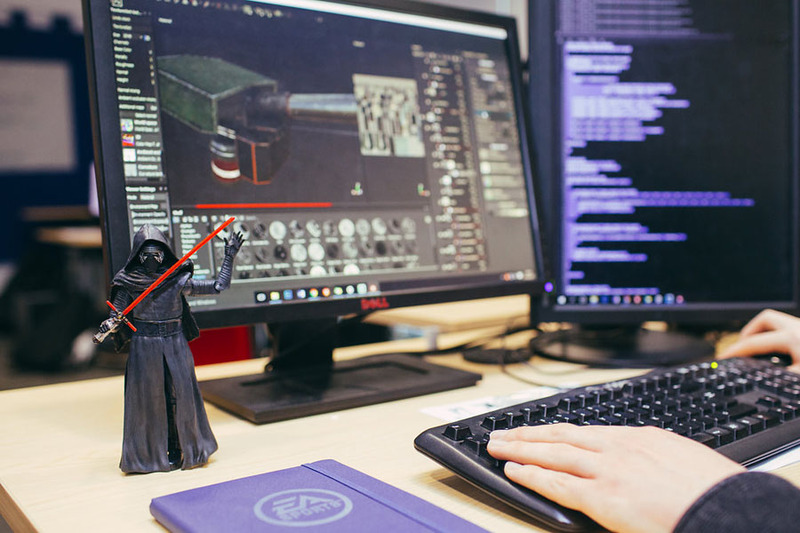 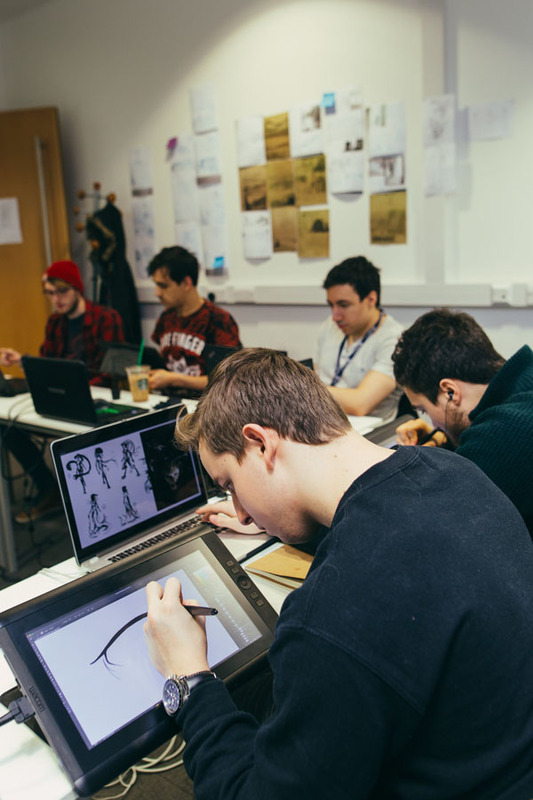 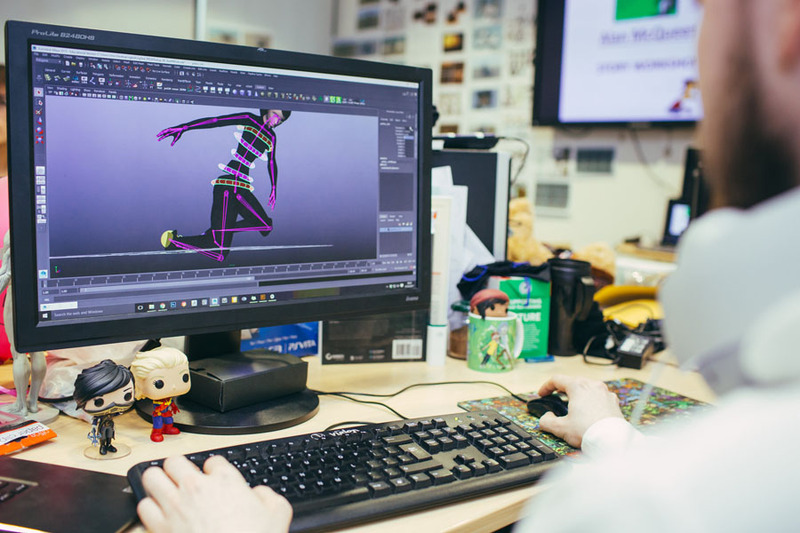 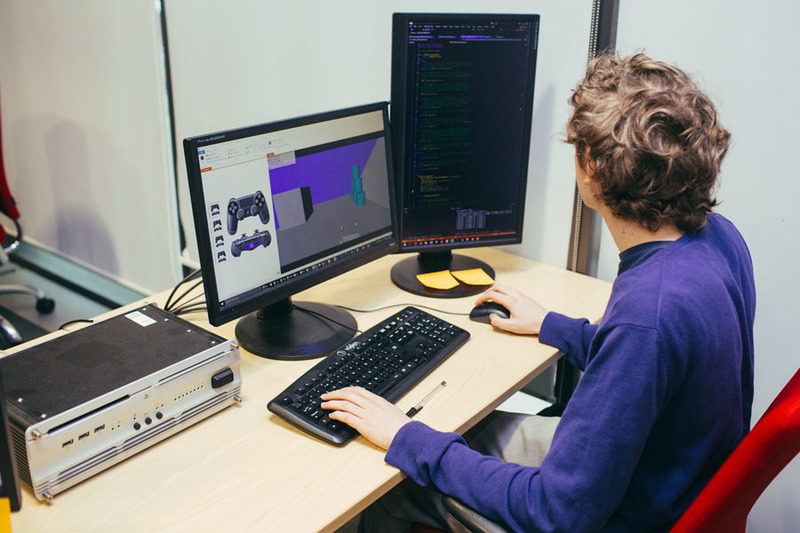 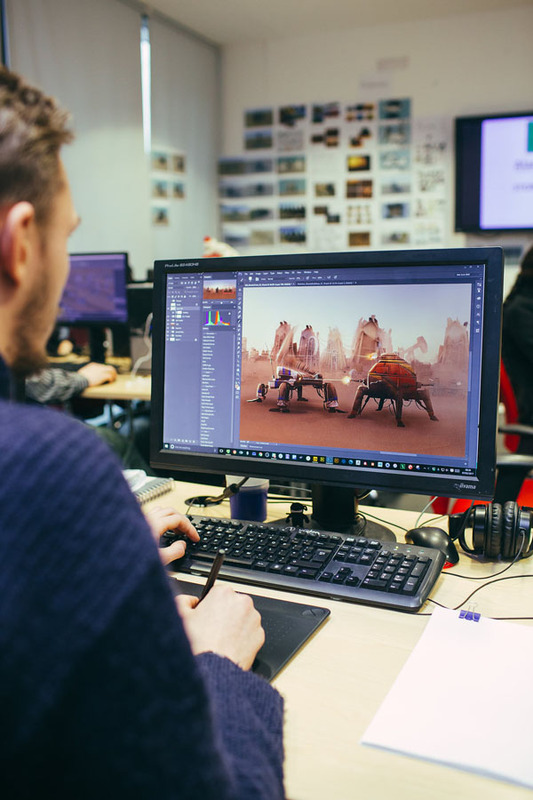 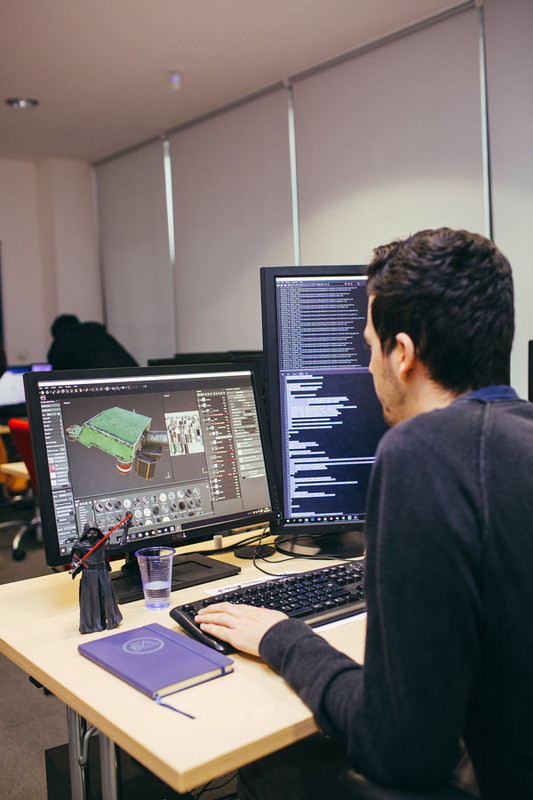 The purpose of this module is to bring together art, code, production and design students together into a game development team and give them the opportunity to work collaboratively to produce a prototype for a large-scale game on either console, PC or connected devices. 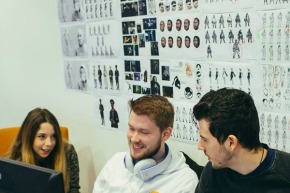 Take a look at how Sean landed a job at mobile, table and VR games company, Pixel Toys, after attending an industry event.